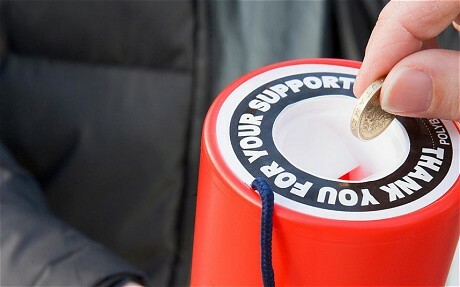 Considering Charity: How Much Can Someone Afford To Give? The idea of charity is very important to some people, and to others it can be more of a thought that crosses the mind seasonally, or only during major disasters or times of need. Nonetheless, when it does come to the forefront of a thought process, how can a person determine the amount they can afford to give? A few ways to look at that question would be to start with the idea of salary, then think about geography, look into administration fees of different companies, consider volunteering as a form of charity, and place the idea of your church or spiritual institution in the equation as well. To understand more about charity options from an individual, start with knowing their base salary. It doesn’t matter how much you want to give to charity if you don’t make enough to support your own lifestyle first. Especially if you’ve changed jobs recently, there may have to be a certain recalculating of what percentage of an income can go toward charitable causes. Charity means different things in different places. In urban areas, you can contribute to soup kitchen funds. In suburban and rural areas, charity might be geared more toward something like ‘Toys For Tots’ or ‘Coats for Kids’. The important part is to remember that if you want to contribute to the community you’re a part of, know what that means to the less fortunate. And if you want to contribute to a community that you’re not apart of, like a nearby city that’s had hard times, you contribute the right money and resources to the appropriate circumstances. One thing to be wary of when giving to charity is the percentage of money that goes to the charitable cause itself versus how much goes into administrative fees and to staff at the charity. There are lists of better charities to give to in order to keep this ratio at an acceptable place for what you’re willing to give as an individual. And giving to charity doesn’t always have to be about money either. You can volunteer time, energy, or even skill and do your part to help communities as well. Doing things for people can often mean more to them then just handing out money to be redistributed by anonymous faces, to anonymous people. Your church may or may not be considered in your thoughts about charity as well. Depending on how active you church is with regards to where their money comes from an goes to, the standard tithe may be more than enough to contribute in order to help causes to improve local conditions.